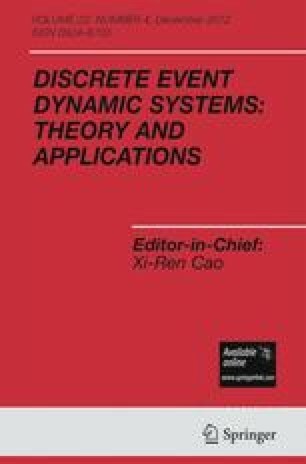 Minimal siphons in the class of S 4 PR nets have become a conceptual and practical central tool for the study of the resource allocation related aspects in discrete event dynamic systems as, for example, the existence of deadlocks. Therefore the availability of efficient algorithms to compute the minimal siphons is essential. In this paper we try to take advantage of the particular properties of the siphons in S 4 PR to obtain an efficient algorithm. These properties allow us to express minimal siphons as the union of pruned minimal siphons containing only one resource. The pruning operation is built from the binary pruning relation defined on the set of minimal siphons containing only one resource. This pruning relation is represented by means of a directed graph. The computation of the minimal siphons is based on the maximal strongly connected components of this graph. The algorithm is highly economic in memory in all intermediate steps when compared to the classical algorithms. This work has been partially supported by Technological University of Panama and Secretaría Nacional de Ciencia, Tecnología e Innovación, SENACYT, Panama. Also, this work has been partially supported by the European Community’s Seventh Framework Programme under project DISC (Grant Agreement n. INFSO-ICT-224498) and the project CICYT-FEDER DPI2006-15390. The authors are indebted to three anonymous referees, whose comments helped to improve previous versions of this paper. Also, the authors extend gratitude to Marcela Paredes de Vásquez, Myriam Gonzalez, Luis Barahona, Martin Candanedo, Raúl Barahona, Clifton Clunie, Lydia Toppin and Delva Batista for valuable support during the research process of this work.